COLLECTIVE SOUL is pumped and primed to celebrate their 25th anniversary in 2019 in all-out style, but they’re really just gearing up for the long haul. Ever since the barnburning rock band from Stockbridge, GA burst onto the national scene with the runaway success of their multi-Platinum 1993 debut, HINTS ALLEGATIONS AND THINGS LEFT UNSAID, and its ensuing mega-smash hits like “Shine” and “Breathe,” they’ve been on an upward trajectory that’s seen them play to sold-out audiences across the globe while concurrently amassing a most impressive catalog of beloved songs instantly recognizable by their titles alone. That 25-year tradition will continue starting April 12 in Clearwater, FL at the Capitol Theatre, as the band–Ed Roland (vocals/guitar), Dean Roland (rhythm guitar), Jesse Triplett (lead guitar/background vocals), Will Turpin (bass/background vocals), Johnny Rabb (drums/background vocals)—heads out on their U.S. tour which should last through the end of the year. Later this summer, they’ll embark on their “Now’s The Time Tour” with Gin Blossoms starting May 25 in Atlantic City, NJ at the Hard Rock Café – Sound Waves. 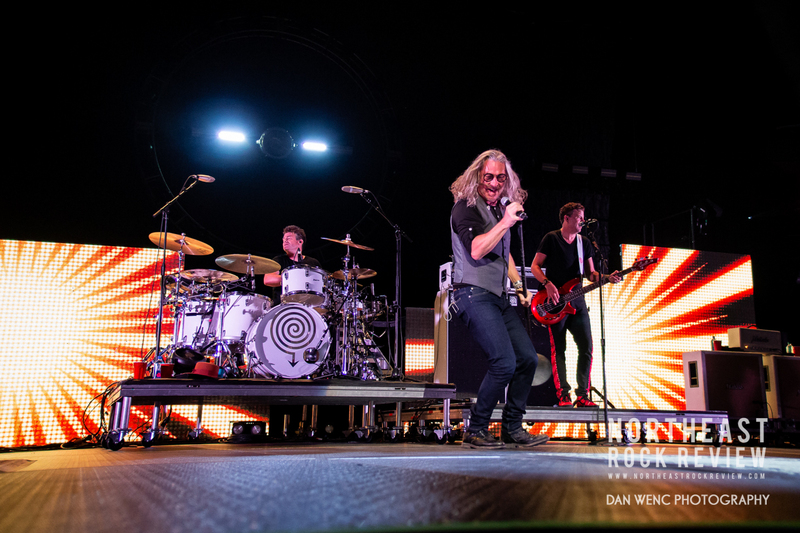 COLLECTIVE SOUL and Gin Blossoms will be offering their own VIP packages, which include band meet and greets, exclusive merchandise, and much more. All VIP packages will be available starting Wednesday, March 20 at 10pm local time. Tickets go on sale to the general public on Friday, March 22 at 10am local time. More information can be found at www.collectivesoul.com and www.ginblossoms.net. Indelibly memorable tracks like “December,” “The World I Know,” “Gel,” “Heavy,” and “Precious Declaration” (to name but a few) all evoke a collective sense of heartfelt observational universality and earnest positivity — in short, they’re the jukebox heroes of a new generation. Indeed, the secret sauce to COLLECTIVE SOUL’s continued success story is a simple one: a palpable mixture of insightful songwriting and impeccable band chemistry. Gin Blossoms, one of the top alt-rock groups of the ‘90s, recently issued their first new album in eight years, the critically acclaimed MIXED REALITY (2018), highlighted by such singles/videos as “Break,” “Face The Dark” and “Wonder.” The multi-platinum band’s signature blend of introspective lyrics, ringing guitars and finely etched melodies is as strong as ever throughout the album. Gin Blossoms have also been celebrating the 25th anniversary of their multi-Platinum album, NEW MISERABLE EXPERIENCE, which features such classic hits as “Hey Jealousy,” “Found About You” and “Allison Road,” with recent tours where they perform the album in its entirety along with more of their favorites. * Tickets on sale March 29. ** Tickets on sale March 23.